The Law Office of Steven R. McDonald, LLC has helped many people in Wisconsin with Chapter 7 and Chapter 13 bankruptcy. With more than 15 years of experience, our Milwaukee area law firm has a detailed understanding of the bankruptcy filing process and can answer all your questions about bankruptcy. We know debt can cause fear, anxiety, relationship stress, and sleepless nights, and we can help. Contact Oak Creek's trusted bankruptcy attorney for a free constultation and start feeling better today. How Can I Get Rid of Payday Loans? Does Bankruptcy Cover Debt from Medical Bills? Can you file bankruptcy on judgments? Filing for Bankruptcy in Wisconsin Discharges Most Lawsuit Judgments Unpaid debts can result in a law suit being filed against you. If you fail to pay off your credit card debt, medical bills, payday loans or tax debt, a creditor may begin a lawsuit against you. If they get a judgement against you, they can potentially garnish your wages or go after your personal assets. 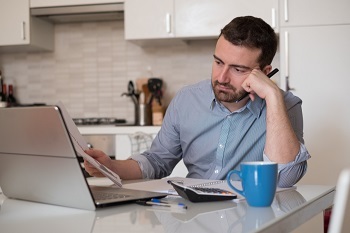 Filing for Chapter 7 bankruptcy can discharge judgments for certain types of debt. In fact, in most cases, filing for Chapter 7 bankruptcy will discharge civil judgements. Does Bankruptcy Get Rid of Liens? Does Bankruptcy Clear Tax Debt? Does Bankruptcy Cover Credit Card Debt?